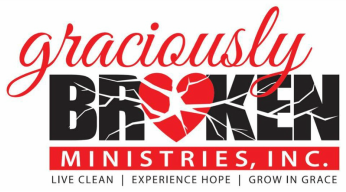 Graciously Broken Ministries has a vision to provide a safe, clean living, and Christ-centered program for women who desire recovery and healing; to help cultivate life skills that will equip them to lead a healthier lifestyle; to create an atmosphere for women to experience hope and healing as they respond to and grow in knowledge of the grace and love of Jesus Christ as it is revealed through the Gospel. Brad Ledbetter is raising money for Alex’s Lemonade Stand Foundation to fund childhood cancer research. Every day, 720 kids are diagnosed with cancer. Together we can provide help for today and hope for tomorrow to the kids and families fighting this disease. If you’d like to join him please visit: https://www.alexslemonade.org/mypage/1198328. Thank you in advance for your support. In honor of Connor Cruse, TeamConnor aims to fulfill Connor's wish that no child endure the suffering of childhood cancer. TeamConnor is dedicated to funding novel research projects around the country that will move us closer to funding the causes and cures to help end all childhood cancers. Reaching our goal of $50K will allow us to add one more year of funding for the researchers to continue their life-saving work. Join us in giving kids back their childhoods! Northwestern Mutual is the marketing name for The Northwestern Mutual Life Insurance Company, Milwaukee, WI (NM) (life and disability insurance, annuities, and life insurance with long-term care benefits) and its subsidiaries. Bradley Loyd Ledbetter is an Insurance Agent of NM and Northwestern Long Term Care Insurance Company, Milwaukee, WI, (long-term care insurance) a subsidiary of NM, and a Registered Representative of Northwestern Mutual Investment Services, LLC (NMIS) (securities), a subsidiary of NM, broker-dealer, registered investment adviser and member FINRA (www.finra.org) and SIPC (www.sipc.org). Bradley Loyd Ledbetter is primarily licensed in Texas and may be licensed in other states.